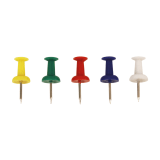 Our Aluminium Cork Noticeboard is a simple way to display notices with pins that can be updated and removed quickly and easily. 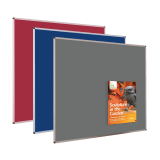 Available in three great sizes, their will be a board to suit your office, school, library or exhibition. What is the Noticeboard made of? 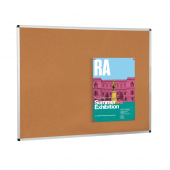 The Noticeboard has an aluminium frame with a natural brown cork surface for pinning. Can the board be displayed portrait or landscape? Yes, you can display the cork board portrait or landscape. 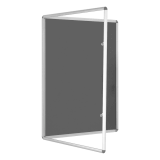 The product can be wall mounted through concealed fixing holes under the rounded corners.